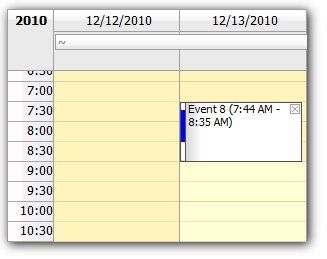 The Calendar row headers can be customized using BeforeTimeHeaderRender event. The following example renders a header with precise start time (e.g. "10:30") for each time cell.